Back in January, I got the chance to visit Milestone S.r.L at their studios in Milan for preview events of Monster Energy Supercross and Gravel. During this, the conversation turned to the state of the industry and Milestone as the biggest games company in Italy. Amongst other things. As a follow up from general conversations I was able to have a little interview with Milestone’s Senior Vice President, Luisa Bixio. In it, we talk about Milestone, its development, the talent pool of Italy for the gaming sector and the path that the industry is taking. Tell me a little about Milestone yourselves? How has the company developed over the years and how do you see yourselves in the future? It’s fair to say Milestone has really changed a lot during recent years. In 2012 we were a company of fewer than 100 people, developing just two games – Superbike and WRC – with a relatively low technology level and a distribution focalized on Europe. During the last year, however, we’ve invested a lot in technology, people skills, and process. 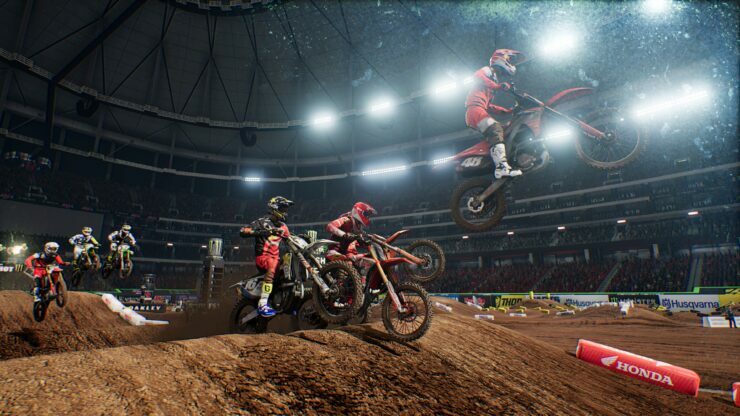 As a result, today we are a company of 200 people producing three licenced titles per year – MotoGP, MXGP, and Supercross – as well as working on our own original I.P., such as Ride and Gravel. Our goal for the future is to increase the quality of our production within upcoming releases, helping to consolidate our presence not only in the bike and licenced segments but also within 4-wheeled focused racers and with our own, new I.P, where the market is much more competitive. Of course being the largest developer and publisher in Italy puts you in a fairly unique and strong position. However, Italy isn’t generally well known for gaming and the scene around gaming. Do you find there is any difficulty in getting talent into the company? That’s definitely one of the major issues we face. In Italy, though significant progress has been made it’s also true that games industry still has a way to go. As a result, it remains difficult to hire senior or experienced people in Italy. 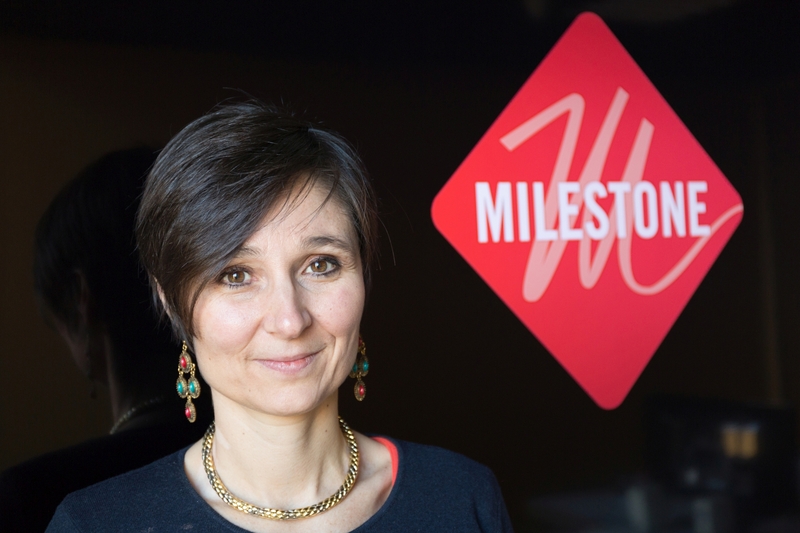 Luckily, Milestone is already home to a lot of good, solid talent, with most of our hires having come directly from university – indeed, Milestone is where a lot of people within the Italian games industry have gained their experience. Considering the expansion that Milestone has taken and their position at the top of Italian development, has there been any consideration to overseas expansion? There are definitely countries where the games industry is ahead of Italy, but opening up a studio abroad is not something we’ve planned for in either the short or medium term. Moving away from the idea of expanding Milestone itself – although this is something that has been happening – let’s talk about the expansion and changing nature of the games themselves. Over the years games have seen themselves divided into the big budget titles with a fairly long development time or the smaller budget titles with a somewhat shorter time. Milestone titles tend to be somewhere in the middle of this. However, has the company considered making what could be considered a traditional AAA title, or even potentially expanding themselves into making smaller titles? That’s a good question. Our strategy at the moment is to the focus on annual releases with our licenced titles, providing fans with not only new circuits and liveries but also new content and a refreshed in-game experience year after year. At the same time, however, its clear that working on our own I.P. is a lot less straightforward – it takes more time, technology and investment, but we’re ready to face this challenge. Part of this comes from the cost of certain aspects of these titles. There are large costs of licensing and there may be different considerations in particular when it comes to racing games. 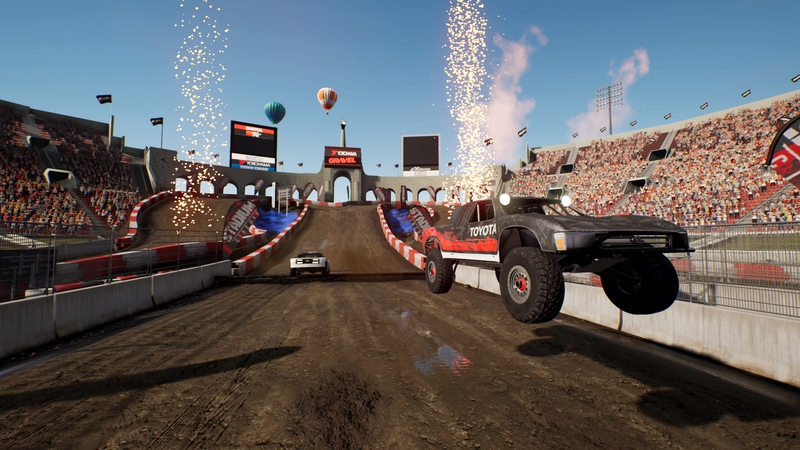 For example, licensing the races themselves, then the vehicles to race with. How does this work for the company, is this an easy enough process or can it be expensive and, at times, difficult? When we work with Dorna on MotoGP, or Youstream on MXGP, or even Feld on Supercross, they all provide us with all the content and the rights we need to make the game. With each of them, we have a signed agreement that gives us the rights for all the circuits, bikes, sponsors of the champions, etc – it’s all taken care of. In contrast, when we work on Ride or Gravel, we have to sign individual licencing deals with all of the manufacturers, sponsors, accessories and brands that you see in play. It’s a much more complex process. A way to work around this is to develop your own IP’s. Gravel, for example, uses it’s own competition and courses, though still does use licensed vehicles. Is this something the company will look towards even more in the future? Yes, we think that licenced vehicles and accessories are very important for a fully formed racing experience, but clearly, that depends on the individual design of the game in question and the kind of experience you would like to provide for players. Following from this, Milestone is well known for focusing on the racing genre. Has there ever been any consideration in attempting a different type of game, even on a smaller scale? Our focus and passion at Milestone has always been for racing, and we think this is a market where there is still plenty of room to grow. At the same time, however, the is always a temptation to explore other genres, and it’s something that’s been discussed within Milestone many times. It’s not something we’d ever rule out and may be something we’ll make a move on in the future if we happen upon an idea that we love. If I could ask, what has been the most successful of Milestone’s titles? Moving away from the games themselves and back to the industry. There have been changes in the business models and monetisation of titles, particularly notable lately. Where does the company stand on the older model of buying a traditional game vs the recurring revenue model of microtransactions? We’re currently focused on what you might call the ‘old model’ – we sell the game, and we follow up with quality DLC, both free and premium, and for some of our games this is an approach that’s really paid off. However, we’re also working on virtual currency technology and microtransactions – that’s something we will test in the near future. How does the company feel about the changing climate of the public in relation to these changes? For example, the public response to titles like Battlefront 2 and their implementation of loot boxes. I think there are many gamers out there who take pride in their ability and the experience they build up through putting in the hours within a game, and they’re not keen on others using money to improve their stats. I think our games more easily fit the mould of that first group of players – there is passion, there is competition, and there is pride. However, at the same time, there’s also plenty of content you can offer that’s not directly related to a player’s in-game performance. Do you think the resistance of current trends easier as a private company, such as Milestone, than if you were a public company? That’s not something I could predict. Right now we’re a private company and that’s working fine for us. As for Milestone, do you have any particular key investors or are you solely private? We are 100 percent a private company. One final question on the business side of things. Are there any thoughts on taking Milestone S.r.L public? Not in the near future. The future is always very difficult to predict, of course, namely because the video game market is a fast and often crazy one. One heartening thing to take from this is that the industry, particularly in countries like Italy that don’t have a strong base, is growing. This is evident alone in the fact that Milestone as a company has over doubled in size over the previous five years. More than that, while Milestone is certainly happy at the top of the food chain in the Italian games sector, they are taking risks with making own-IP titles like Gravel. I will have to admit, however, I’m somewhat disheartened by the knowledge that the company is working on ‘virtual currency technology’. This may eventually be a stepping stone into the mire that has recently plagued the industry in the form of loot boxes fuelled by in-game premium currencies. This could be just my own personal fears taking hold, though Milestone does feature have a not-insignificant amount of downloadable content for all of their titles. Fortunately, as the company itself states, this has never been in the form of pay-to-win or game skipping content. It will be interesting to see the path that Milestone take. As it stands, the focus on yearly licensed titles has served them well, and the move to Unreal Engine should certainly make for marked improvements in their titles. Only time will tell to see how the company will further expand.